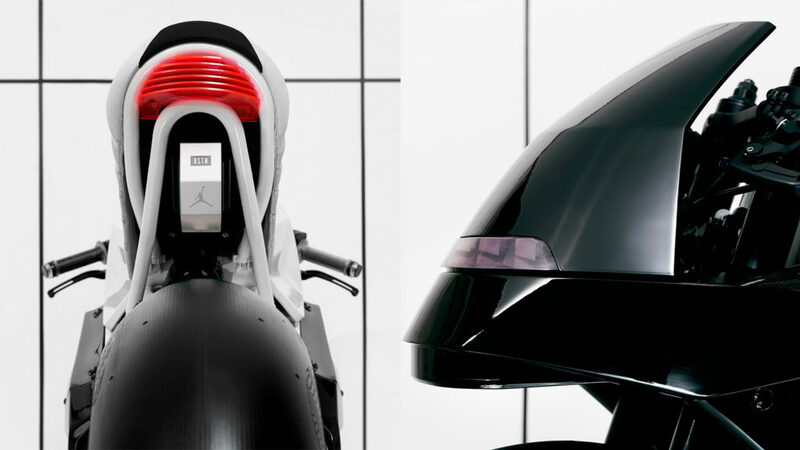 This custom bike combines Michael Jordan's love for motorcycle racing with the Air Jordan XI design concept. They made the movie Love & Basketball. 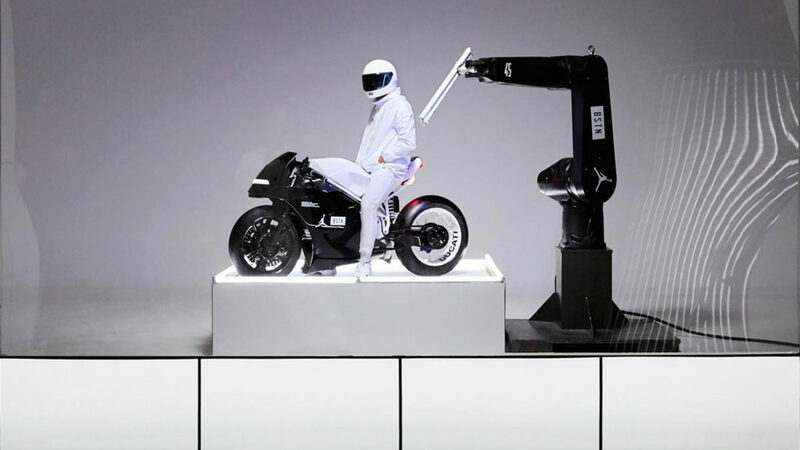 They made the shoes, and now for the first time they are making the bike. The BSTN Ducati 916 ‘Concord‘ combines Michael Jordan’s love for motorcycle racing with the innovative nature of his Air Jordan line. 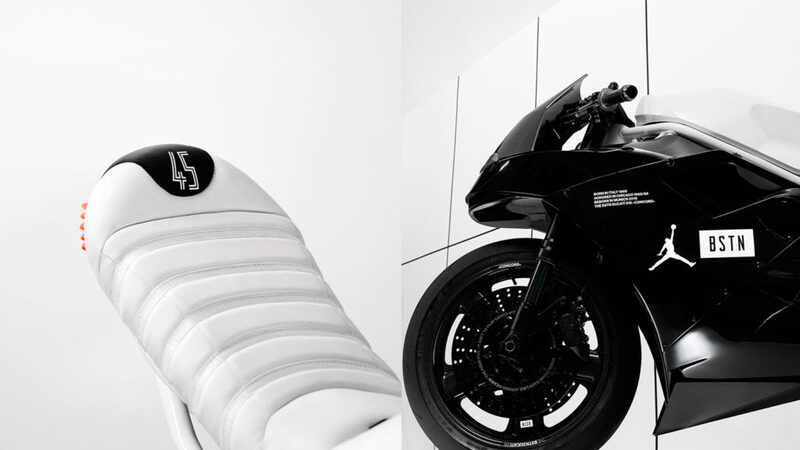 Representing another “leap forward,” the BSTN Ducati 916 ‘Concord‘ is a customized dream. The Concord has been extravagantly re-tailored to fit with the Air Jordan XI design concept. The “Back like 45” lyrics have been laser-engraved onto the brake discs, the icy outsole of the XI led to the bike’s clear rubber handles, while a custom seat mimics the shoes’ blend of materials. Speaking of which, the use of leather and neoprene is a subtle nod to the Air Jordan XI’s inspiration. 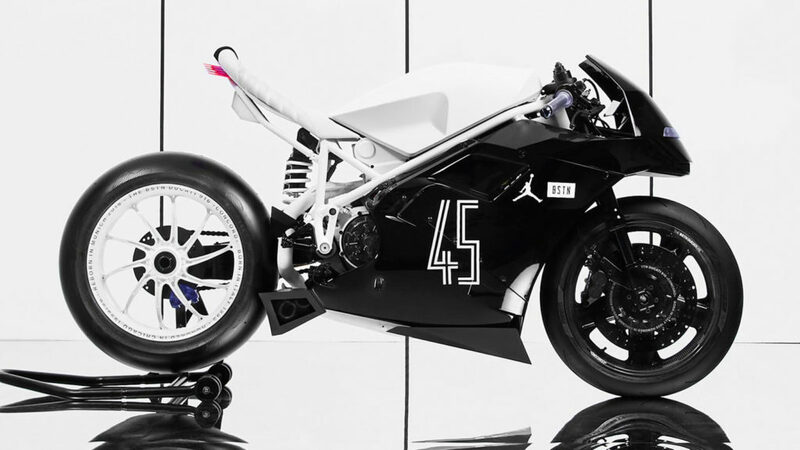 Performance, style, and of course a long history of best-in-class status, what more could you ask for in an unexpected pairing between the Air Jordan XI and a racing bike?